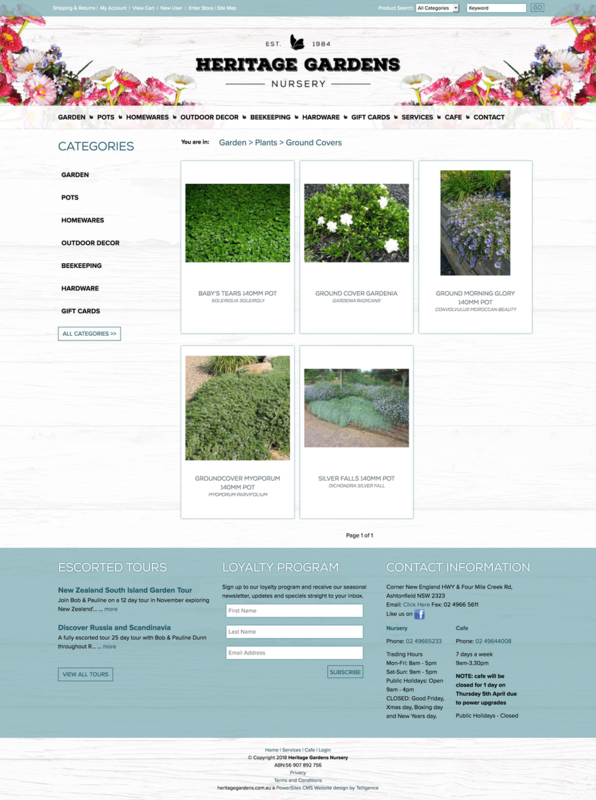 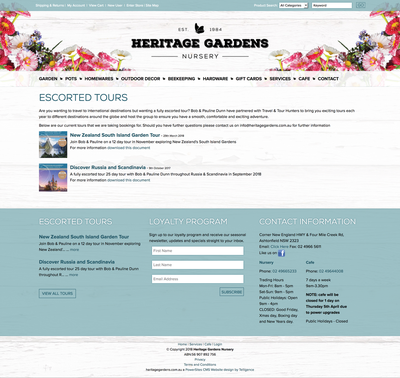 Heritage Gardens were looking for a fresh new look website to coinside with their new branding. 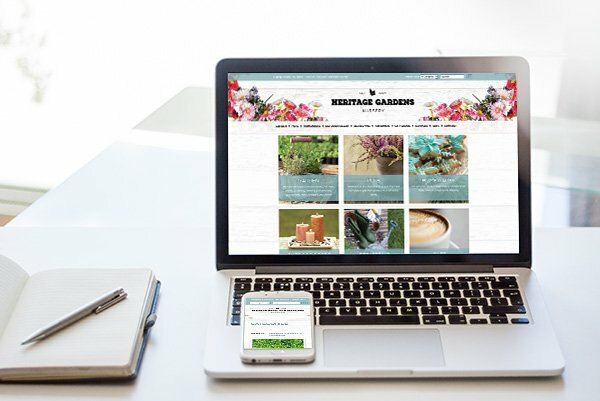 With the potenial to sell products online and have an online catalogue, promote their onsite cafe and function center plus much much more. 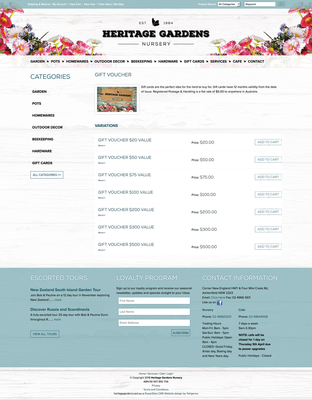 This website shows how our Ecommerce solutions can be displayed in a elegant way. 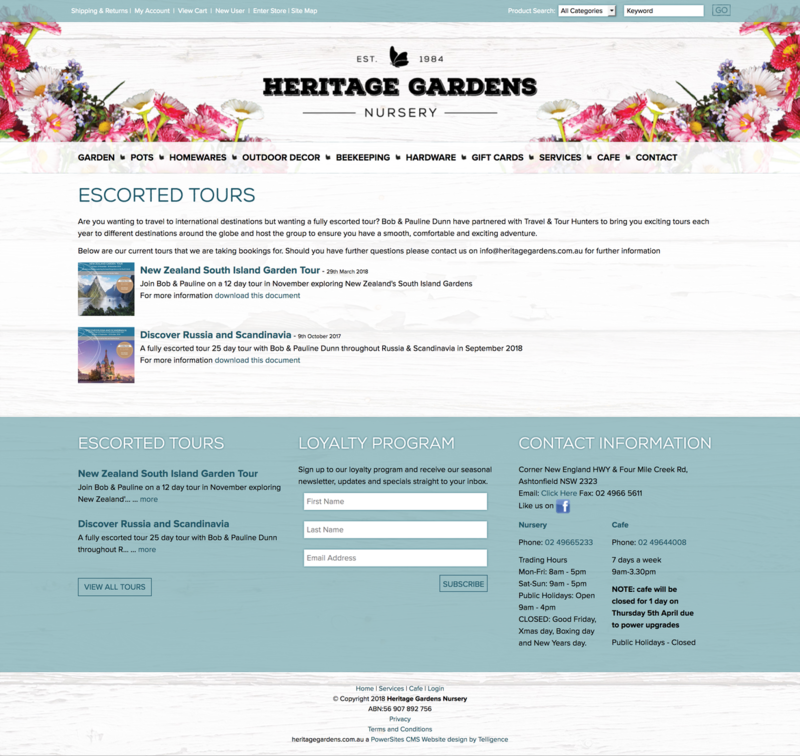 Heritage Gardens were very please with the final result. Modules Used: Store Module, News, Email Campaign, Powerdata Forms, Content Blocks.